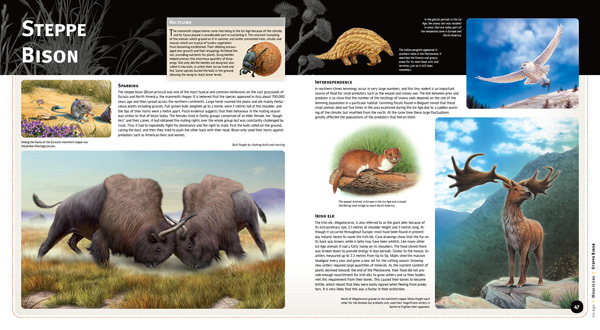 Woolly mammoths, sabre-toothed cats hunting in packs, huge ground sloths, giant armadillos and opossums wandering across endless snowfields are typical of the fauna of the Ice Age. 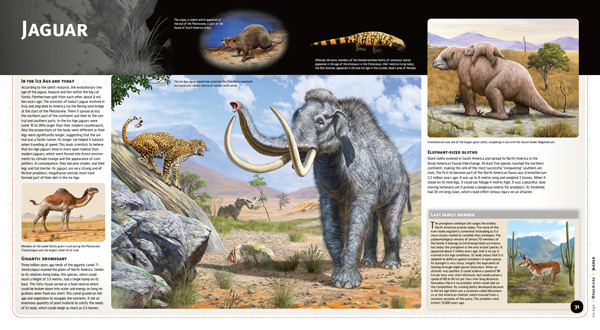 The wildlife in the period of the Earth’s history called the Pleistocene, however, was far richer than this. 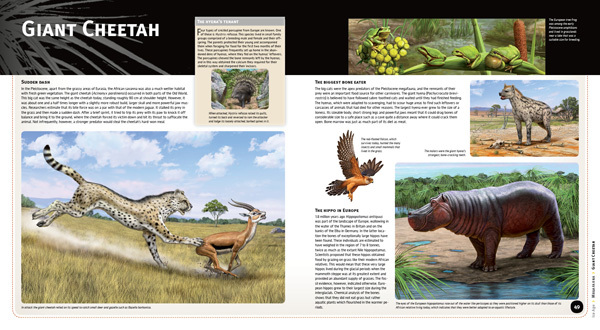 Among the exotic animals grazing on the plains of Europe and Asia were rhinos, hippos, gazelles, ancient types of elephant, wild horses and giant tortoises. 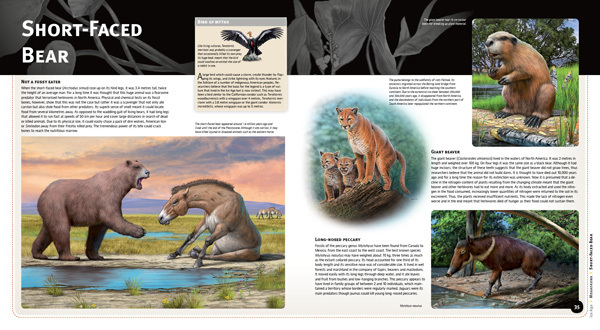 These were prey for cave lions, giant leopards and cave hyenas. 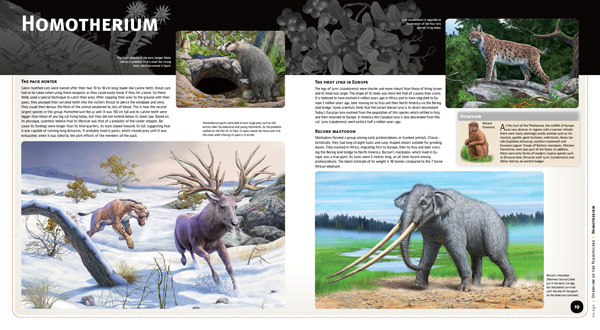 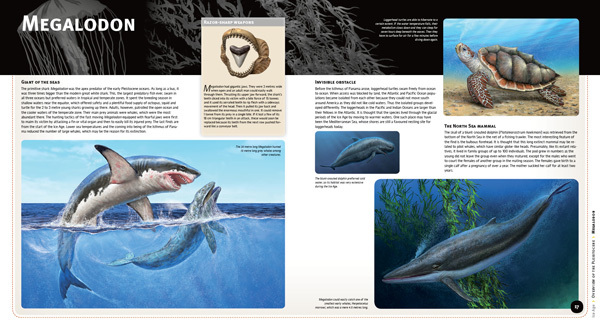 This book also looks at the herbivores and large predators of the other continents. 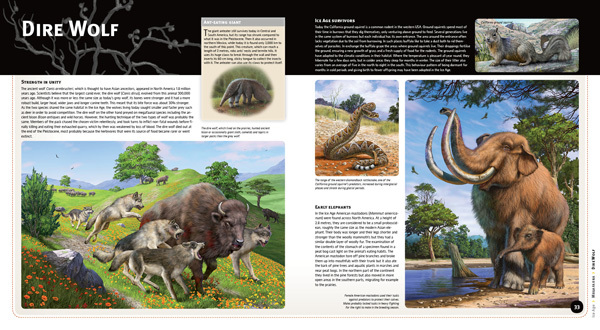 It shows the hunting strategy of the fearsome dire wolf in North America, the largest of the sabretooths, Smilodon fatalis, in South America, the gigantic crocodile, Crocodylus thorbjarnarsoni, in Africa, the king of monitor lizards, Megalania, in Australia, and the record-sized ancient shark, Megalodon, in the oceans. 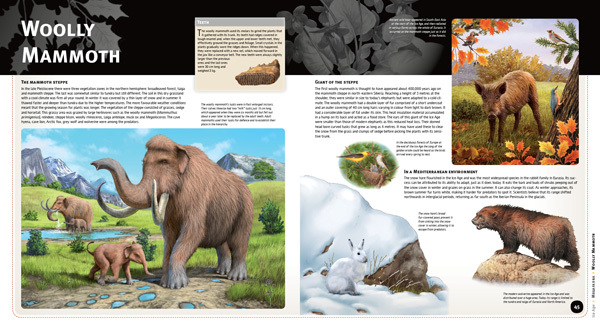 This volume with its spectacular illustrations shows the real Ice Age. 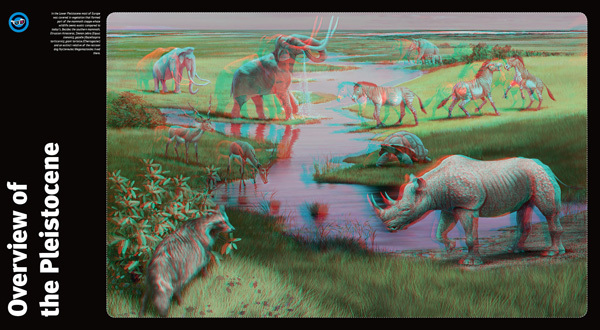 Some of the artistic pictures can be looked at through 3D glasses, bringing the extraordinary creatures of this lost age within reach.